Former adult day care facility. First floor, semi private entrance with parking. Full kitchen, large restroom facilities and activity spaces. Can be modified to tenant’s specifications. 6 offices, lab and bathroom. Currently adjoined to 16,000 SF suite which can be split to suit. 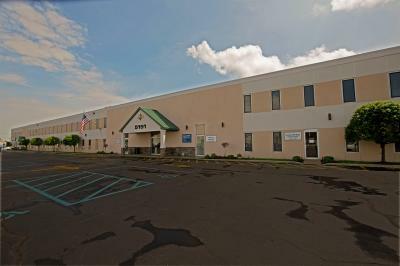 10 offices, group room and reception and private restroom. Currently adjoined to 16,000 SF suite which can be split to suit. waiting area, reception/ bullpen, 4 offices, conference room. Currently adjoined to 16,000 SF suite which can be split to suit. 6 offices, 3 large group rooms. Multiple entrances possible. Currently adjoined to 16,000 SF suite which can be split to suit. Individual rooms/ offices available. From 50 SF. Up to 24,740 SF. Various suites and configurations available.